For those who accept no compromise, we present the Ultimate Ground. By using more, higher quality conductors and a special noise absorbing material in the jacket, we’ve achieved our goal of a reference level Ground Cable. The Ultimate Ground delivers the ultimate in finesse, resolution and tonal purity. Created for the finest components available, the Ultimate Ground is a must for true music lovers. 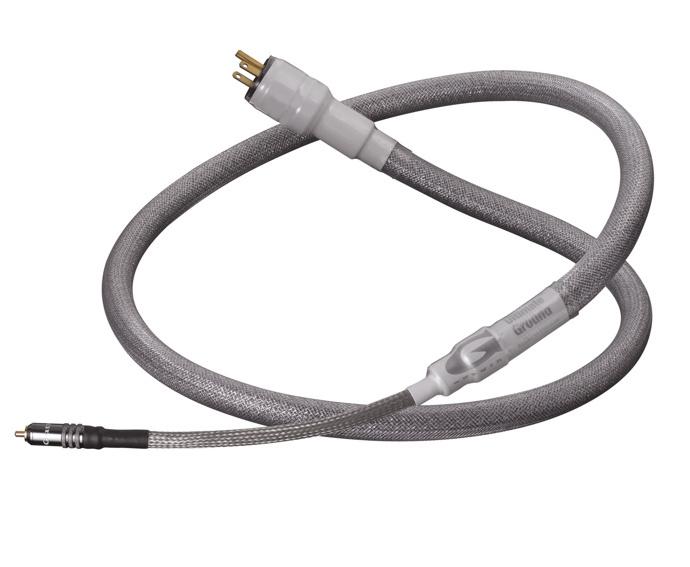 Created as a true reference cable, the Ultimate Ground is built differently than every other Ground Cable. The Ultimate Ground features solid-core conductors made of incredibly pure 101%IACS Copper. These high purity conductors offer a more pristine pathway for the ground plane, greatly enhancing the cable’s ability to resolve fine detail. A massive 8AWG aggregate using multiple conductors (6x16AWG) greatly reduces each conductor’s load, enabling the Ultimate Ground to resolve even the most complex of passages with ease. The special mineral impregnated jacket is filled with a Rare-Earth Element Composition material which reduces EMI and RF across the entire cable, dropping the noise level to vanishingly low levels and revealing musical information which was previously hidden in the noise floor. Even the wall-plug is upgraded, featuring a Wattgate AC plug. A standard Ultimate Ground is 6Ft long and terminated with an RCA at the component end and a Wattgate wall plug at the other. Custom lengths available at an upcharge; XLR, Spade or 3.5mm available as special-order options.